If I was to ask you, “What are your goals?”, what would your answer be? In almost every case, a person's goal is one or more of the following: to lose fat, gain muscle, improve performance, get in shape, prevent injury, or be healthy. Once the goal has been set, it is time to go after it! However, all too often trainees get stuck along the training road before they reach their goals. So how do you get unstuck? You find what is holding you back. I believe that in many cases, the limiter is strength. Cardio alone rarely gets clients to their fat loss goals. (Note: see The Limits of Cardio for Fat Loss for more info). These days, more people are realizing the benefits of resistance training for fat loss. These include raising metabolic rate, inducing EPOC and creating positive hormonal changes in the body. However, none of these things happen unless you are using sufficient weight. Most of the people out there who are using weight training for fat loss are too weak to get these benefits. 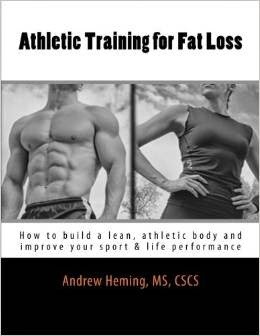 Also, one of the best forms of training for getting lean is sprinting, but sprinting is just too dangerous to do if you are weak. Gyms all over the world are filled with frustrated, weak people who are unsuccessfully pumping and blasting their pecs and arms from all angles and annihilating their bodies with specialized intensity techniques. With the exception of those using drugs and genetic outliers, building muscle is best summed up by legendary strength coach Dan John: "The answer has never been: lift light weights for high reps, or lift heavy weights for few reps. The answer remains: Lift heavy weights for high reps." Throughout history, most of the successful bodybuilders have been incredibly strong. Remember, success leaves clues. When it comes to performance, many athletes make the mistake of only focusing on speed or “jump” training. While these are obviously important, they will only work up to the limit of your current strength levels. If you are continually getting stronger, you will be continually increasing your capacity for performance training. Then when you do speed and power training, you will learn to express that strength explosively. The stronger you are, the easier it is to move your body around. For example, if you are a runner and you get stronger, each stride is now done with a lower percentage of your maximum strength. That makes every step easier. If I look back at all the “problem cases” we have had with our athletes over the years, there is a definite common trend – they almost always possess low levels of strength. Sure there are other issues, but the stronger you are the easier it is to move your body around and the more protection you have. A few years ago, we had an exceptionally strong athlete on our men’s volleyball team. He was likely the strongest athlete we have had at our school. He played 5 straight years of volleyball and never missed a single game or practice due to injury. Stronger people are safer in daily life than weak people. Back in ‘05, I came across an article in the Strength & Conditioning Journal that looked at the connection between strength and mortality. Basically, the research shows that the stronger live longer. Building up a good level of strength and lean muscle mass and maintaining that through your adult years is really a fountain of youth. So just how do you go about getting stronger? It starts with picking the right tools. While there are endless options available, the one I keep coming back to is the barbell. 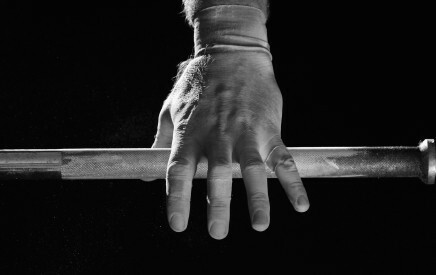 Too often these days the barbell is dismissed as being “old school”. However, after years of training clients, training myself, learning and experimenting with different tools, I keep coming back to the barbell – not because I don’t know what else is out there, but because I do know what is out there and the barbell is one of the all-time best tools for getting stronger. Others dismiss the barbell as being dangerous. To this point, I fully admit that an improperly done barbell exercise is a high risk for injury. That is why proper coaching is important. I am fully convinced that devoting some of your training time to getting progressively stronger will not only enhance their quality of life, but also their ability to reach their goals.